TheLocalMilitia created T138692: Light sources cast light through objects when the FOV cone is pointed away and at a certain angle. TheLocalMilitia added a comment to T138613: Player cannot see my flashlight. TheLocalMilitia added a comment to T137637: Rendering Issue in Cherno Industrial. 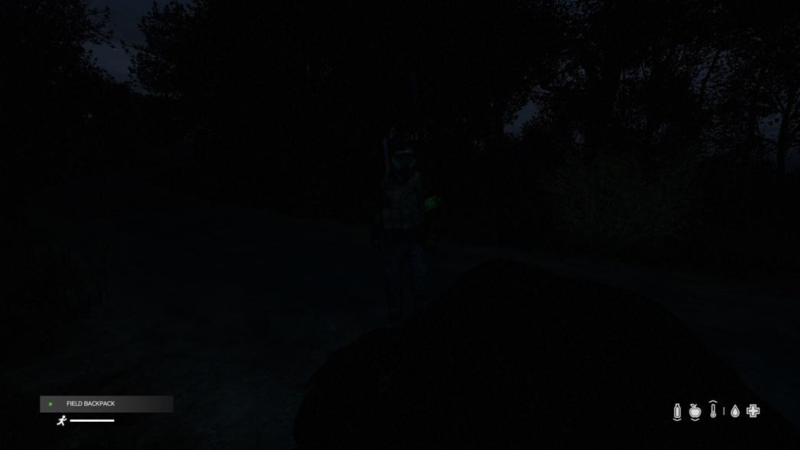 TheLocalMilitia created T138613: Player cannot see my flashlight. TheLocalMilitia added a comment to T138578: Cannot load ammo into FNX magazine. I did not. Must be the pouch issue. TheLocalMilitia created T138578: Cannot load ammo into FNX magazine. TheLocalMilitia created T138531: When loading slug shotgun shells the visual of the cartridge is red. TheLocalMilitia created T138530: Cannot remove magazine from CR carbine. TheLocalMilitia added a comment to T138459: After constructing a wall your character can get glitched into the animation of hammering..
TheLocalMilitia created T138459: After constructing a wall your character can get glitched into the animation of hammering..
TheLocalMilitia added a comment to T138318: EXP - Olga still can't be refueled with water, gas or oil. I have found 4 cars so far and each had the same issue. 2 on .exp and 2 on stable. TheLocalMilitia changed Reproducibility from reproducibility:nottried to reproducibility:always on T138318: EXP - Olga still can't be refueled with water, gas or oil. TheLocalMilitia created T138320: EXP - When dropping gear on the ground you cannot access the items placed first when too many items are placed. TheLocalMilitia created T138319: EXP - After going unconscious the player cannot open doors or climb ladders. TheLocalMilitia created T138318: EXP - Olga still can't be refueled with water, gas or oil. TheLocalMilitia added a comment to T137827: EXP - Unable to open cans of tuna. This happens on both stable and experimental. All are picked up in the world. Sometimes they open, sometimes they don't. It's a roll of the dice. Ask any player and they'll tell you the same thing. I'm afraid I can't give much more info or any steps to reproduce other than go into the world and test it. TheLocalMilitia created T137827: EXP - Unable to open cans of tuna. TheLocalMilitia created T137818: EXP - Light sources are still lit whilst swimming but there is nothing held in hands. TheLocalMilitia created T137737: Add the ability to rotate items in your inventory tetris style. TheLocalMilitia added a comment to T137102: Experimental 1.01.150625 - Binoculars can't zoom. TheLocalMilitia created T137637: Rendering Issue in Cherno Industrial. TheLocalMilitia added a comment to T137290: NBC uniforms cannot be repaired. I think it's due to it being a hazard protection suit, it can't be repaired by regular means. It's annoying but makes sense. What doesn't make sense is why you would want to wear one when the zombies ruin gear in 3 hits. TheLocalMilitia created T137307: You can no longer knock the legs from under zombies. TheLocalMilitia created T137296: Ruined Car wheels model is the same as pristine, which doesn't affect the performance at all. 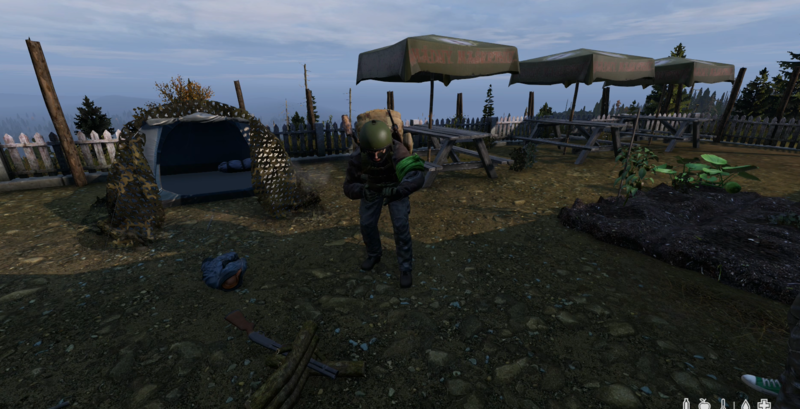 TheLocalMilitia created T137293: Radio Backpacks clip through player model. TheLocalMilitia edited Additional Information on T137291: Running down the large radio tower at NWAF will make you jump and fall to your death. TheLocalMilitia created T137291: Running down the large radio tower at NWAF will make you jump and fall to your death. TheLocalMilitia created T137290: NBC uniforms cannot be repaired. TheLocalMilitia created T137223: You cannot look through scopes, binoculars or rangefinders when placed in your hand. TheLocalMilitia created T137222: Military Camotents have invisible walls. TheLocalMilitia created T137119: Weapon glitches out and is held in the right hand - when you aim the gun doesn't point straight. .
TheLocalMilitia created T137109: The inventory is extremely laggy and moving items between two containers takes forever. TheLocalMilitia added a comment to T137056: Blood type not displaying correctly when a test is taken. Killed 3 players at Tisy. One had an AK with 5 mags, fou nd the other AK and mags in the base. TheLocalMilitia created T137071: Wrong audio file for this building. TheLocalMilitia created T137070: Wrong audio file for this building. TheLocalMilitia created T137056: Blood type not displaying correctly when a test is taken. TheLocalMilitia created T136995: You can sometimes take locks off of gates without a combination. TheLocalMilitia created T136934: Default the Custom Characters. TheLocalMilitia added a comment to T136684: Animals are impervious to bullets. TheLocalMilitia added a comment to T136907: EXP - Parking cars in tents and entering will destroy the car and kill you. TheLocalMilitia changed Category from category:gameplay to category:stamina on T136865: EXP - Unlimited stamina in water. TheLocalMilitia created T136921: EXP - Guns show ammo in the chamber/magazine when there is no ammo loaded. TheLocalMilitia created T136912: EXP - Weather is client side not server side. TheLocalMilitia created T136911: EXP - Goats have wrong names. TheLocalMilitia created T136907: EXP - Parking cars in tents and entering will destroy the car and kill you. TheLocalMilitia created T136866: EXP - Players can sprint through the sides of car tents. TheLocalMilitia created T136865: EXP - Unlimited stamina in water. TheLocalMilitia created T136855: Poor Performance. TheLocalMilitia updated the task description for T136774: EXP - Player facial animations in cars bug out sometimes creating amusing, yet unintentional, faces. TheLocalMilitia created T136774: EXP - Player facial animations in cars bug out sometimes creating amusing, yet unintentional, faces. TheLocalMilitia added a comment to T136733: Driving into a hat at 70kph is about the same as driving straight into a concrete wall apparently. . Sorry, Exp. It's been around for years though. I have video of a sedan hitting sticks and exploding from as far back as 2016. TheLocalMilitia created T136733: Driving into a hat at 70kph is about the same as driving straight into a concrete wall apparently. .
TheLocalMilitia created T136726: EXP - Two different Server Browsers. TheLocalMilitia created T136724: EXP - VOIP not working. TheLocalMilitia created T136645: Building stats resetting. TheLocalMilitia added a comment to T136575: Barrels glitch if opened and then players leave the area. I can't remember to be honest. I've logged in at times where a barrel has been opened and I wasn't able to pick it up despite it being my first login of the day. TheLocalMilitia edited Additional Information on T136575: Barrels glitch if opened and then players leave the area. TheLocalMilitia created T136575: Barrels glitch if opened and then players leave the area. TheLocalMilitia created T136571: Persistence Strikes Again!. TheLocalMilitia updated the task description for T136488: DayZ Village - The Wall wiped | Date/Time with the location of areas effected. TheLocalMilitia created T136488: DayZ Village - The Wall wiped | Date/Time with the location of areas effected.